Texas law allows unwarranted surveillance of civilians by police while protecting pipelines from the aerial eyes of environmental groups. As the Federal Aviation Administration decides which six states in the union will serve as testing grounds for unmanned aerial aircraft systems (UAS) — or drones, as they are more commonly known — the state of Texas has its hand raised high. 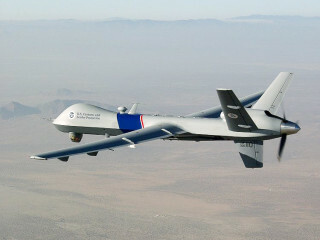 According to numerous press releases from Texas A&M University-Corpus Christi, home to the state's UAS "command and control center," the A&M Lone Star Unmanned Aircraft Systems Initiative (LSUAS) proposes a series of 11 test regions that will cover about 6,000 square miles across the state. But not so fast, said residents of Alpine, a university town located in the Big Bend region of West Texas, home to about half of the proposed test mileage. As has been widely reported in state and local news outlets, concerned citizens shot down the proposal to launch test drones from their municipal airport in a packed town hall meeting on November 16, leaving the LSUAS in search of a new launch site. Meanwhile, the citizens of Alpine are right to be concerned. Here in Texas — as opposed to pretty much every other state that has restricted drone use by law enforcement — lawmakers are more concerned with what we the people might do with unmanned aircrafts than it is with protecting citizens from the rising specter of Big Brother. Legislation passed in September outlines restrictions that allow for unwarranted surveillance of civilians by an increasingly militarized police force, yet ensures that corporate oil pipelines are protected from the unmanned roving eyes of environmental groups. In the face of the almighty dollar, in other words, the Bill of Rights doesn't stand a chance — at least in Texas.